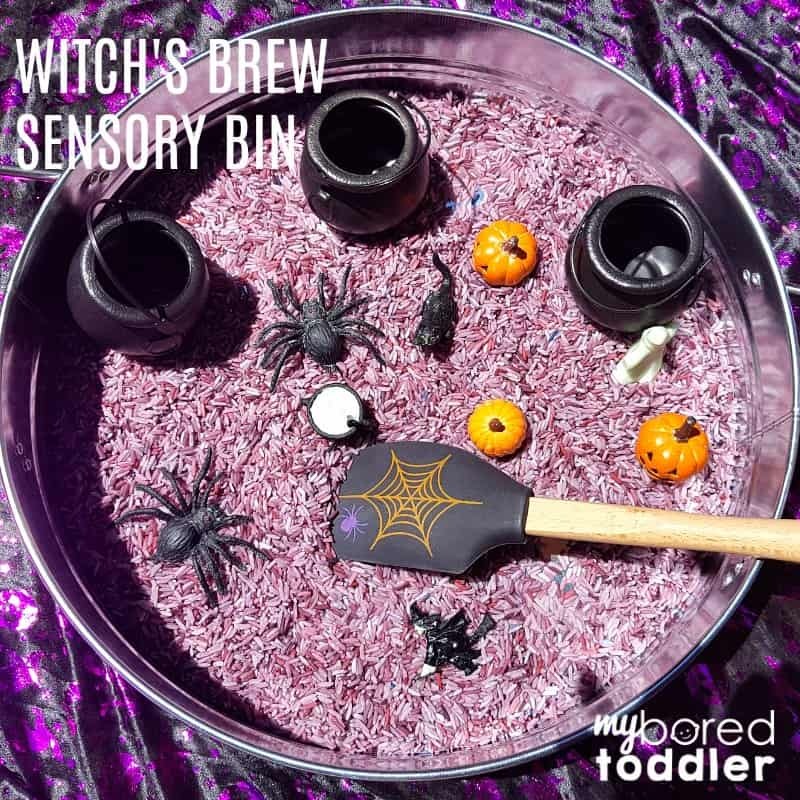 This witch’s brew sensory bin for Halloween is perfect for toddlers and goes super well with our Halloween spider sensory rice bin – in fact all you need to do is change a few items! 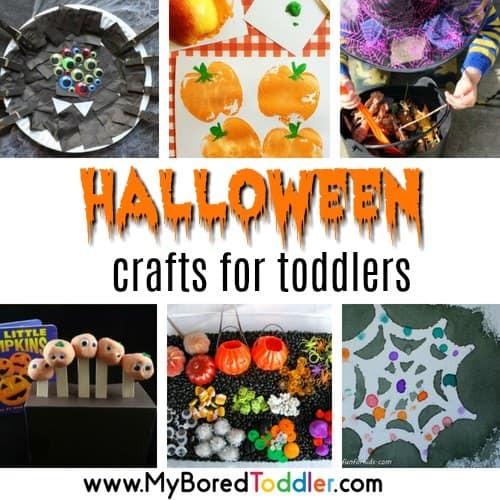 When you’re setting up toddler activities, you really want to make life easier for youself. 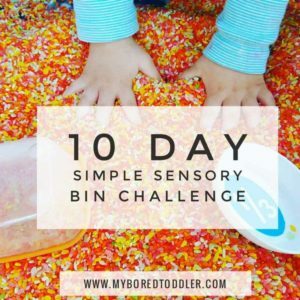 Often you can use the same sensory bin a few days in a row. If it’s in a container, pop on the lid and bring it back out later – it will be like a whole new activity. 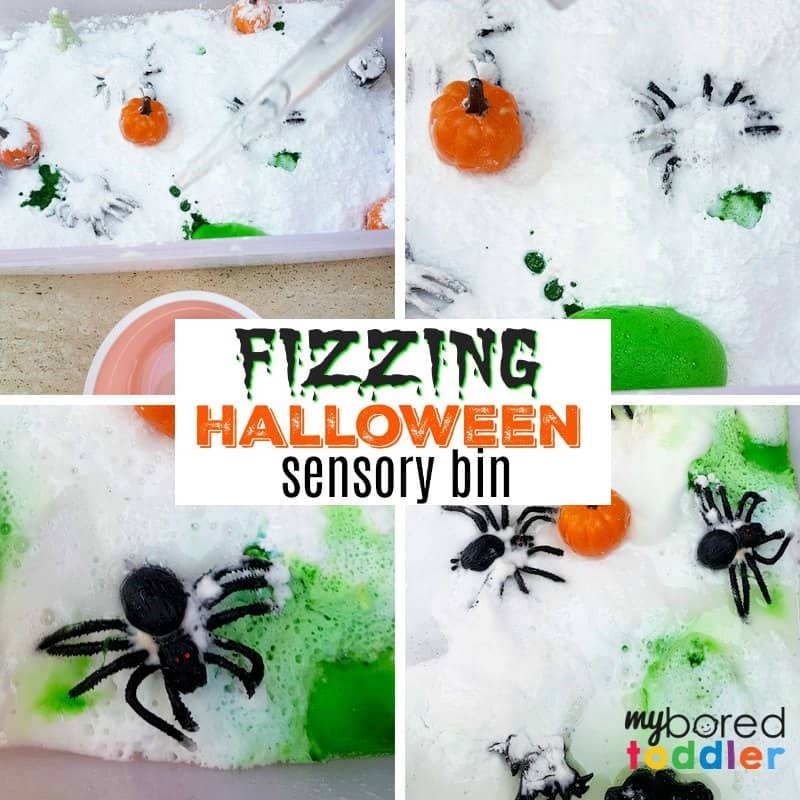 Today’s Witches Brew sensory bin is one that I made straight after we made our Halloween spider sensory rice bin. 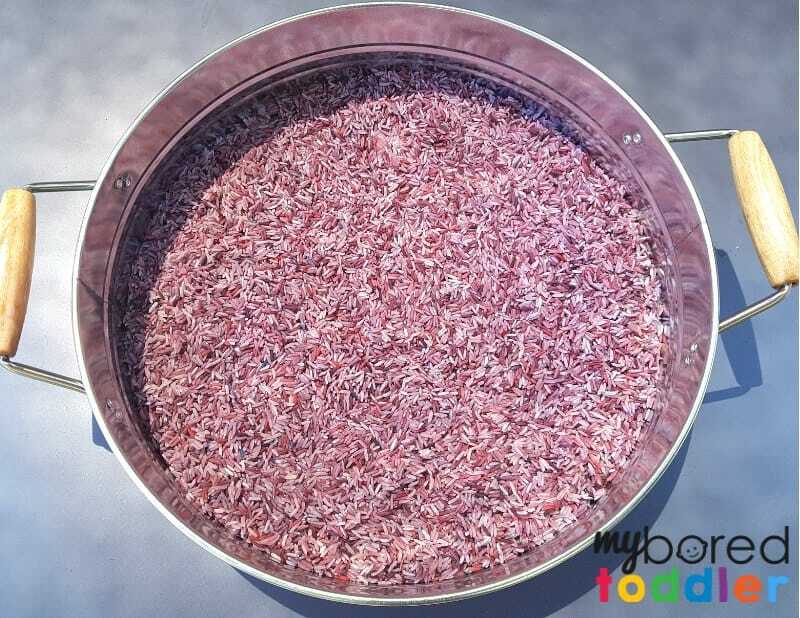 It uses the same colored rice and the same container. All I needed to do was switch out the toys. Easy! 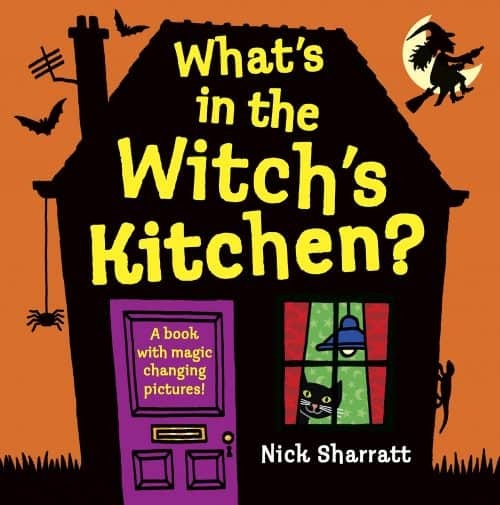 As you know I love using books as a basis for our activities and for this one I love reading What’s in the Witch’s Kitchen before we start this Halloween sensory bin. Plastic Couldrons – you can get them HERE on Amazon or from Spotlight Australia. Halloween themed spatula or spoon (a normal one is fine but if you want Halloween ones you can find them HERE). 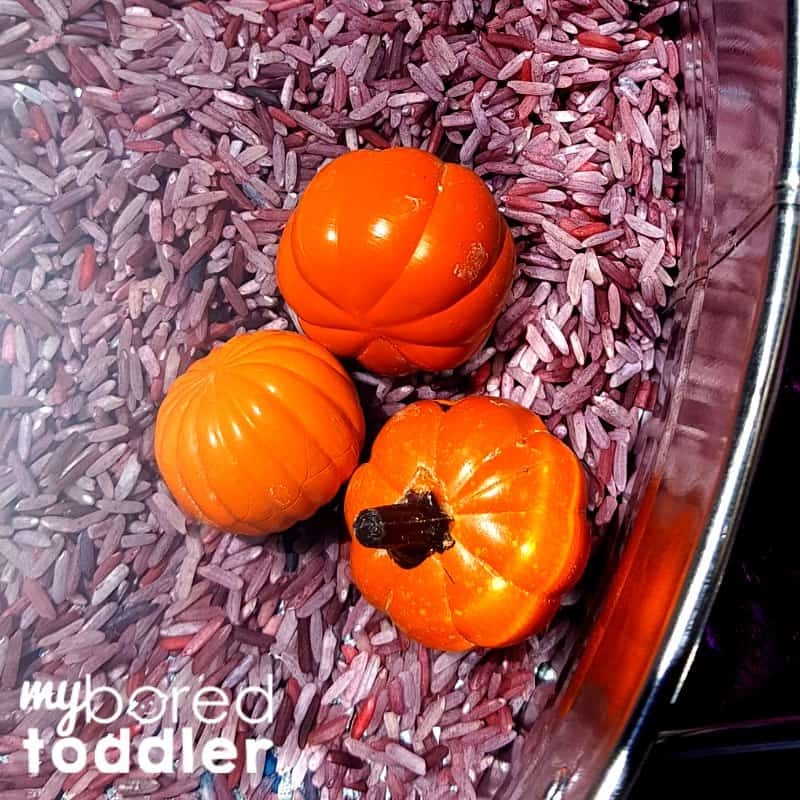 Pumpkins and other Halloween toys – I used the Safari Ltd Halloween Toobs (great quality – we’ve used these for a few years now). 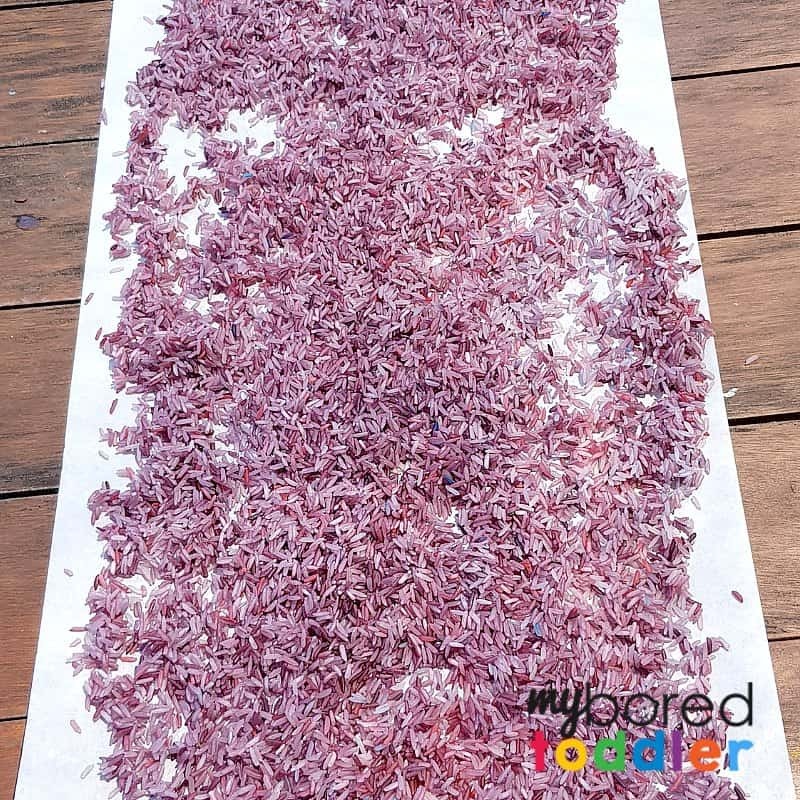 Make your purple colored rice – you can get complete instructions for coloring rice HERE. 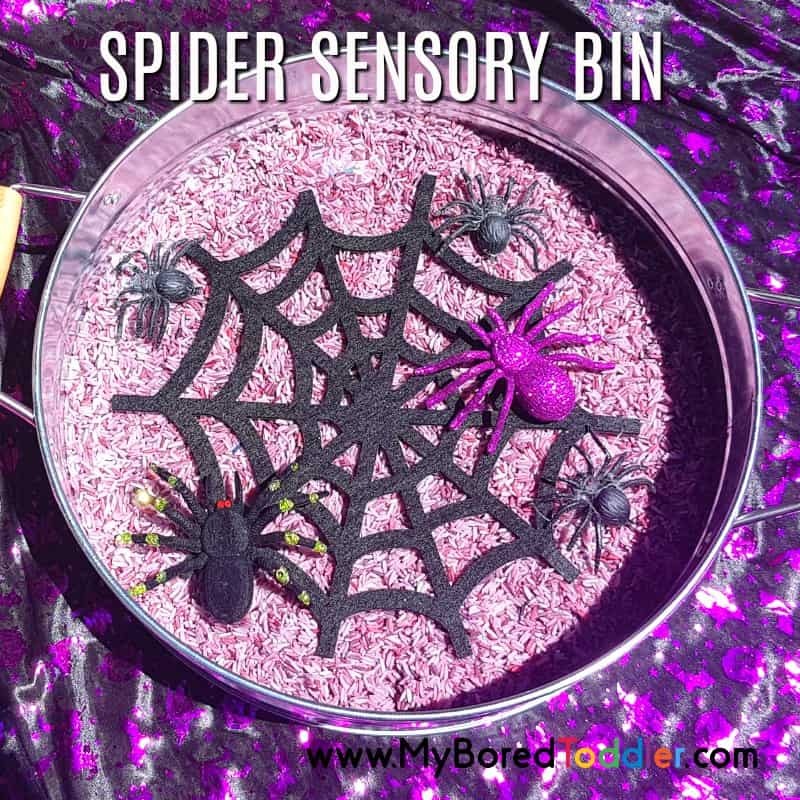 If you have already made the spider sensory rice bin, you can obviously skip this step. Stirring – there was a lot of stirring going on with the spatula! Scooping with the spatula. 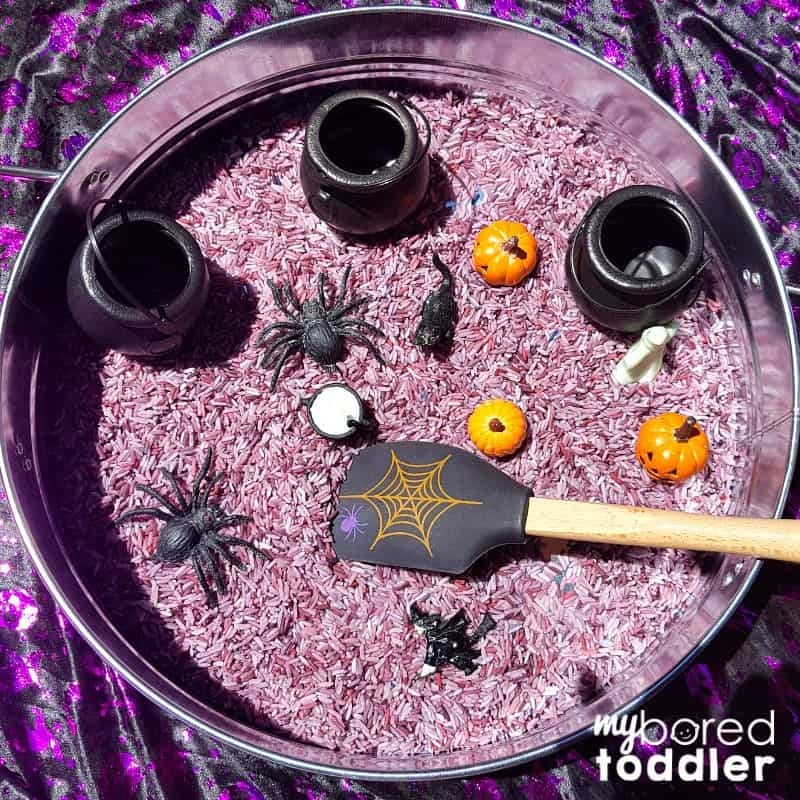 This is trikier than the scoops that we normally use but it was great to see how the children interated with the spatula and how they balanced the rice on it before tipping it into the cauldrons. Sorting. We sorted out the different toys. We also played games like ‘Can you find the …..’ or we took away a toy and asked ‘What toy is missing?’. You can see in the picture below we sorted out all of the pumpkins and then counted them (add more to make this a trickier counting activity). 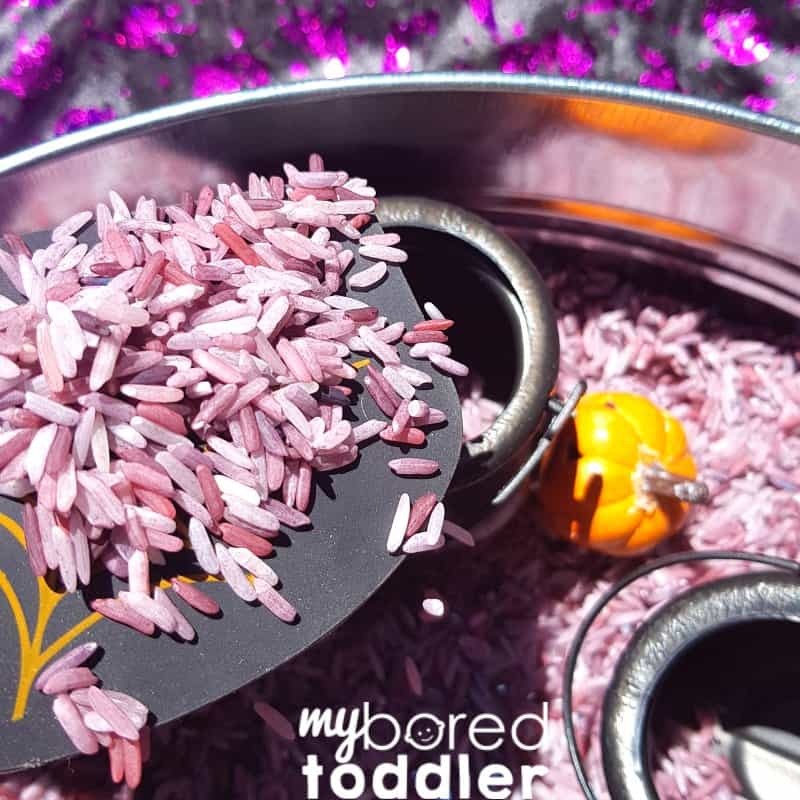 Make sure you keep your purple rice and you can easily make our Spider Sensory Rice Bin too!